Useful add-on for your SharePoint site, which provides a change password feature for your users. 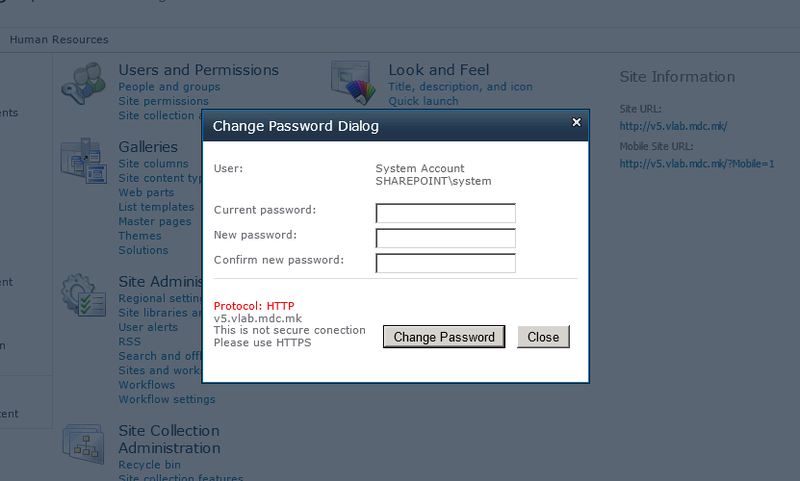 SharePoint 2010 does not come with an out-of-the-box password change functionality. If you want to enable your users to change their password on their own, the Change Password add-on is what you need. 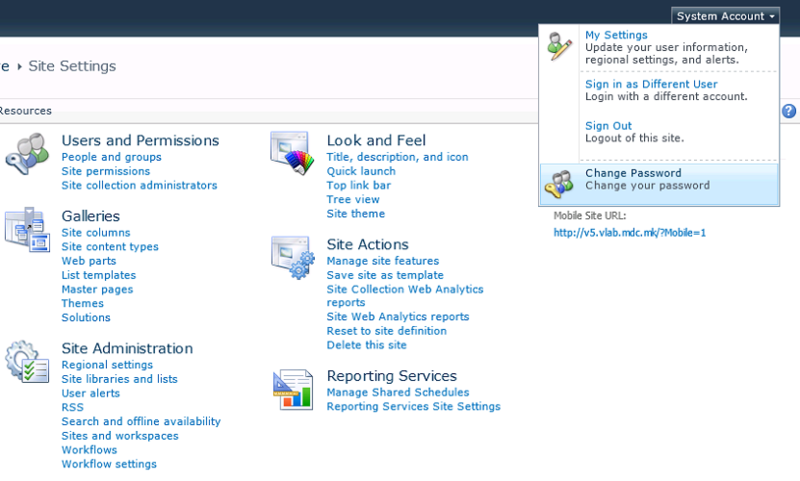 The feature is accessible via link in the account popup menu. In order for the change to take place, the user must first enter his old password. Transfer of sensitive information like passwords over the web must always be done securely. Change password add-on warns the user if he is not using a secure connection and displays information about the SSL certificate if the connection is secured. - Easy to install as a site collection feature. - Integrated in the user account menu. 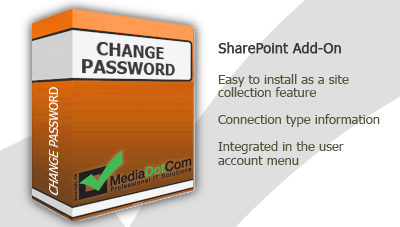 Find out more about Change Password and other products from MediaDotCom Knowledge Base. Q: How do I use the MDC Change Password feature? Q: Does the feature requires administrator's assistance when changing passwords? A: No. The user can change his password by himself, and there is no need for the administrator to assist the user or to approve his new password. Q: Is the user automaticaly signed out after changing his password? A: No, the user can continue his work on the site and can start using the new password on the next logon.